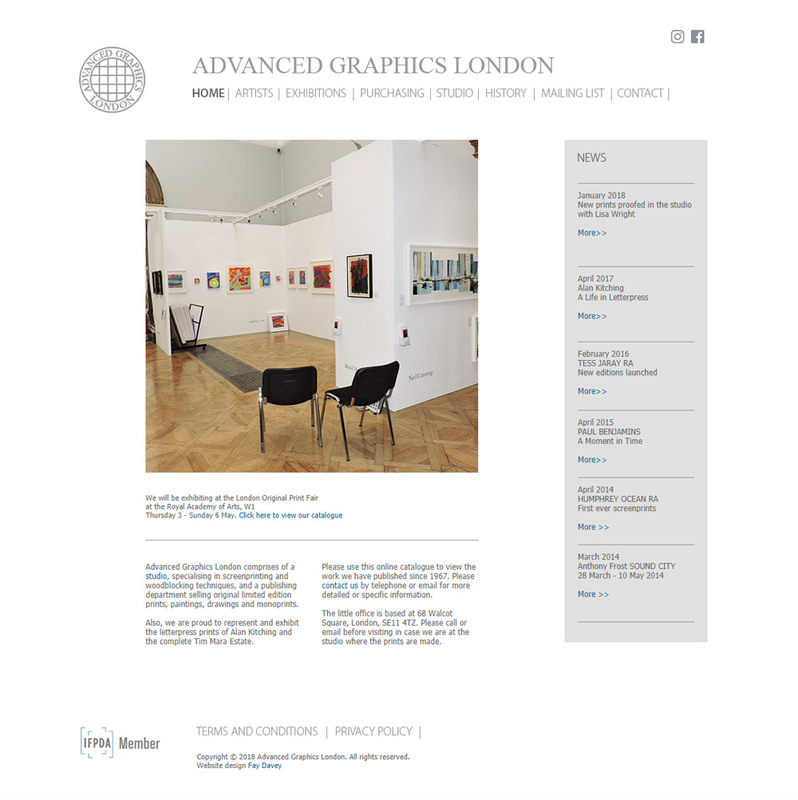 Advanced Graphics London and I met in 1999 when I was asked to produce a cd-rom to showcase their impressive catalogue of prints. 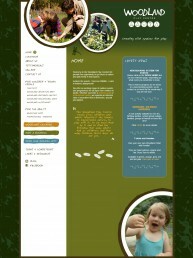 This project soon led to the construction of their first ever website and a company re-brand. 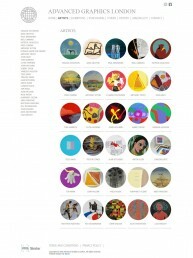 This branding still holds strong today. 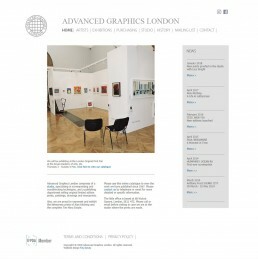 18 years and 3 portfolio websites later Advanced Graphics London and I are still working together. 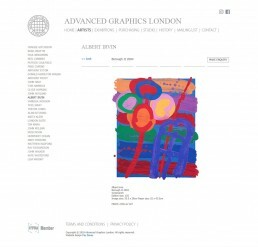 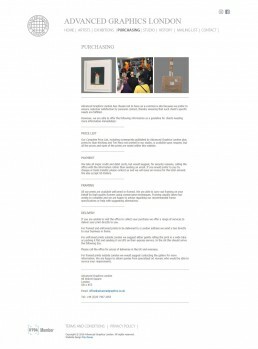 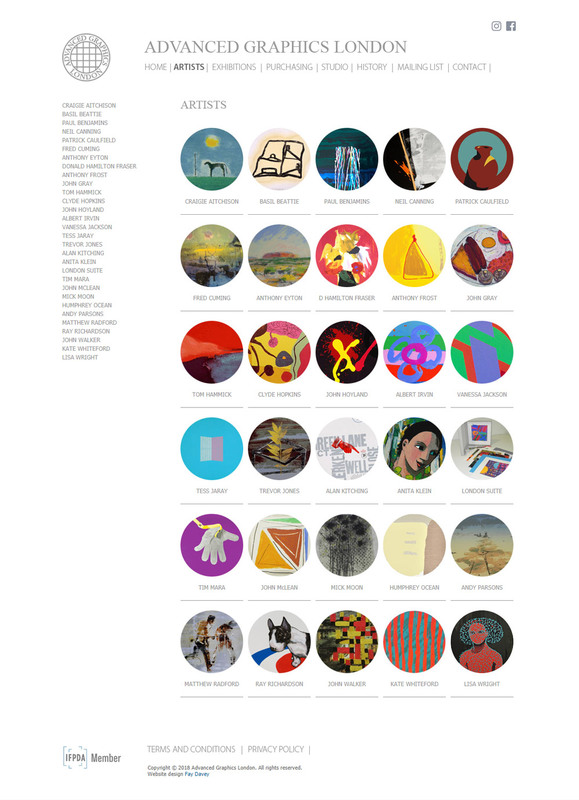 The current website, completed in 2011, features their beautiful range of prints and monoprints, archive exhibitions and company information. 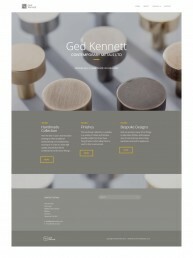 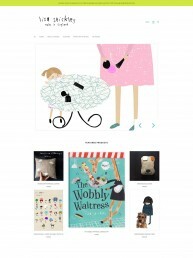 All easily navigable using a clear and clean design. Following some in-house training sessions, this large web catalogue is now managed in house by the AGL team. I am available upon request to provide more complex updates, design queries, general advice and the addition of new sections.